Your premier source for “What’s Happening” on Whidbey Island. 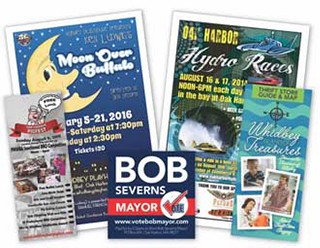 The island’s only locally owned newspaper and print shop! 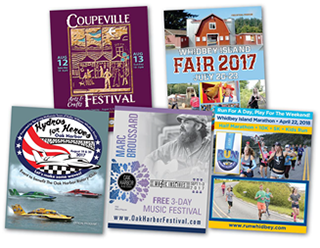 Whidbey Island is full of great events and activities. Check out our calendar to see what’s happening. Would you like to post an ad or list your event? We’d be happy to help. We also offer many other great services at very affordable prices. Let’s get in touch! Whether you just missed it, or are a displaced Whidbey Islander, never miss another episode with our online archive. 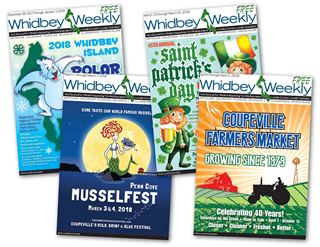 Whidbey Weekly loves local businesses! Get up to date local tide information from NOAA. Get the current ferry schedules from the Washington State Department of Transportation. Get the up to date bus schedule from islandtransit.org.